Fashion retailer Next is facing an equal pay claim from more than 300 shop floor staff, which could total £30m. According to law firm Pattinson & Brewer, which filed the claim with Acas, shop-floor staff – who were predominantly female – were paid on average 24% less than those working in Next’s warehouses, who were mostly male. The claimants suggested that shop-floor work was comparable to warehouse work, and should attract the same rate of pay. How can an employer defend an equal pay claim? According to the Guardian, the retailer’s shop assistants were paid on average £2 an hour less than its warehouse employees. The law firm stated that the average salary loss for the affected staff was around £6,000, and envisaged that between 3,000 and 5,000 workers would sign up to the group claim, which could take it to £30m. Pattinson & Brewer said current shop assistants and those who left the company within the past six years could be eligible to make a claim. If successful, Next may have to pay the staff up to six years’ worth of back pay. Elizabeth George, head of the employment law team at Pattinson & Brewer, said: “There really aren’t many simpler legal concepts to grasp than this one – staff doing comparable jobs should be paid the same amount. “But when you look across every work sector, you will see work that is traditionally viewed as women’s work being undervalued. 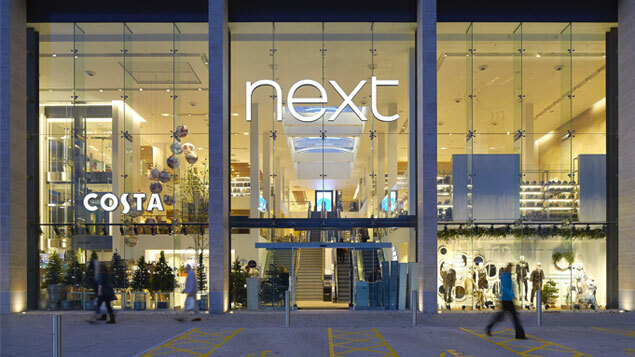 A spokesman for Next said: “Next has not been notified by Acas on this matter and is therefore currently unaware of any claims against it. The difference between working in a warehouse and a store at Next is, however, more significant than for any of the retailers now involved in litigation [such as Tesco and Asda]. The Next legal action follows a similar claim by shop workers at Tesco, who are demanding up to £4bn in back pay, as well as claims against Sainsbury’s and Asda. Quite a few things amaze me with these equal pay claims that seem to be the new PPI for law firms. The first is do the shop assistants not realise that by doing this they are effectively putting a certain amount of staff into redundancy the shops will look at streamlining their workforce to encompass the raising of staff wages and some non profit making stores will close. Look at the likes of Maplin and toys r us to name a few. I have worked in both shop and warehouse and can categorically state that both work schedules are not the same. In warehouses you are timed to pick and the work is more physical. Store assistants have to deal with customers these are two of many differences. Location of the shop and warehouse need to be taken into account as there could be a difference in location based pay. We all have our choices of where we want to work and the type of work we would like to do. If you are unhappy working on the shop floor or the warehouse look at changing your job it is as simple as that. Warehouse pickers take the product off a shelf and load it onto a pallet or roller, retail staff take the stock off the pallet or roller and put it on the shelf, you think these jobs should be paid differently? Couple of questions you need to ask and, when you look at it, Next should really be making a claim against the law firm. First, are the males who work in the retails stores paid the same as the women? Second, are the females who work in the warehouses paid the same as the men? If the answer is yes, then where is the claim?.. there isn’t one, these are two different job roles and I think there isn’t even a claim and it’s just scare tactics by the law firm trying to drum up attention to create the claim. Gender isn’t the issue. Next warehouse and shop floor employees should be on the same pay rate. Both jobs are physically demanding but dealing with customers and providing the customer service expected is extremely mentally demanding. Shopfloor assistants have the responsibility of maintaining Next’s reputation and standards. Why should the pay rate be different for two people employed by next?